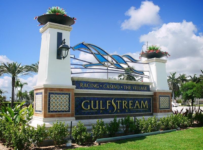 Gulfstream Park will end its 2015-2016 championship meet this afternoon with an eight-race card and first post time of 12:35 p.m.
Tampa Bay Downs will have ten races today with first post of 12:25 p.m. 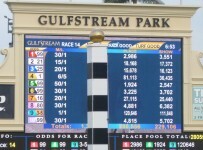 Conditions are listed as fast and firm at each track. 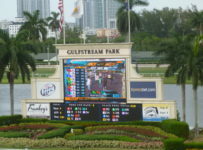 Gulfstream’s Sunday program will follow yesterday’s 14-race Florida Derby day that proved historic on the track and with all-sources handle of $32,082,270. 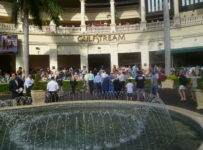 That was the biggest wagering day ever at Gulfstream, except for days on which it had the Breeders’ Cup. 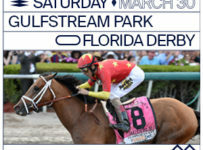 Nyquist (photo on home page, from Gulfstream Park) was the dominant gate-to-wire winner in his Florida Derby (Grade 1) showdown with Mohaymen. Both were unbeaten coming into the race. 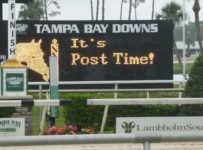 Nyquist, ridden by Mario Gutierrez, took the lead right out of the gate in the $1 million stakes for 3-year-olds at 1 1/8 miles on dirt. 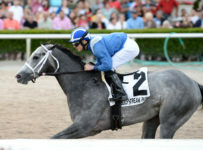 Mohaymen was in post nine in the ten-horse field, He broke cleanly under jockey Junior Alvarado. 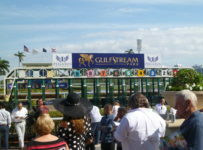 He was several paths wide the entire trip and third as the field entered the final turn. Mohaymen came to within a half-length of Nyquist coming out of the turn. 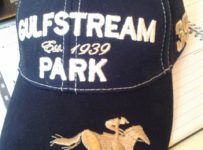 But Nyquist pulled away and Mohaymen faded and finished fourth. 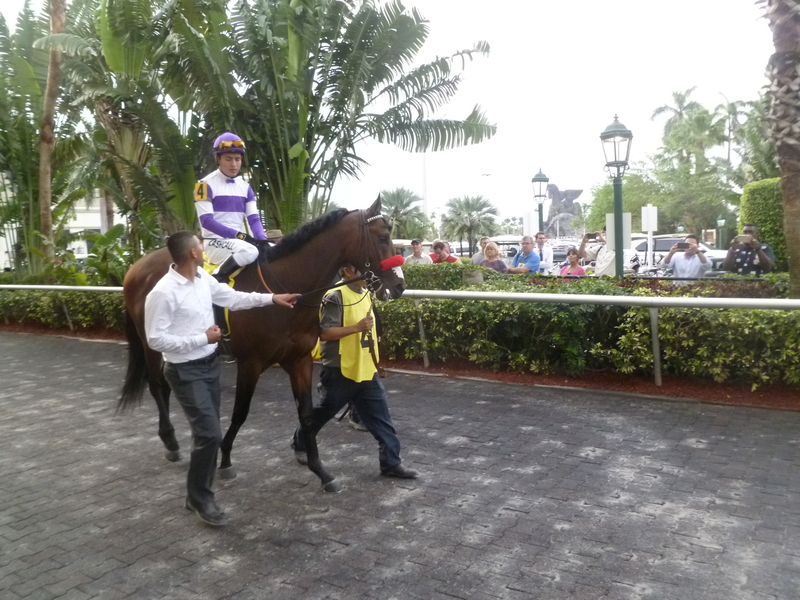 Nyquist won in 1:49.11 on a track that was listed as good following on and off rain during the afternoon. 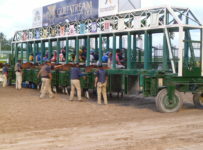 He finished 3 ¼ lengths ahead of Majesto. 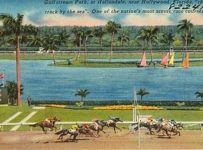 Fellowship rallied to finish third, coming in a length behind Majesto and four lengths ahead of Mohaymen. 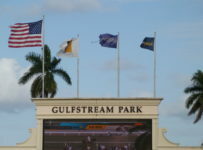 Later today and tomorrow, we’ll have more on the Florida Derby and on yesterday’s other stakes races at Gulfstream. 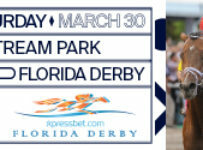 We’ll also look at how the top four finishers in the Florida Derby could fit into the 1 ¼ mile Kentucky Derby (Grade 1) to be run May 7 at Churchill Downs in Louisville, Ky.
Gulfstream will begin its six-month spring-summer meet on Wednesday, with ten races and first post of 12:55 p.m. 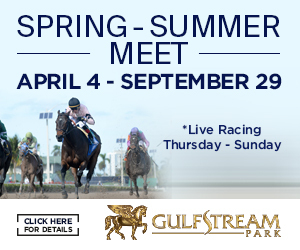 It will have racing on Wednesdays through Sundays until June 12 and then on Thursdays through Sundays the remainder of the meet.